NASCAR Reward Charts! 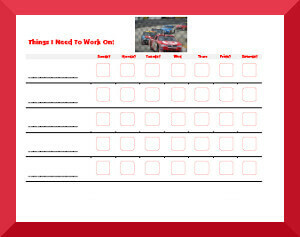 Our NASCAR behavior charts can be a great motivator for young NASCAR fans! You can use the "comments" space to list rewards earned or comment on how the week went. Don't forget to check out our Behavior Charts with Vehicles!